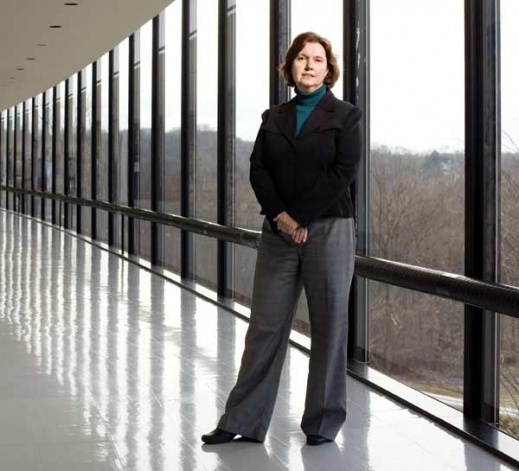 Brenda Dietrich is an IBM Fellow and Vice President. Starting in 1984 as a researcher for the IBM Thomas J. Watson center, she currently leads the emerging technologies team for IBM Watson, extending and applying IBM’s cognitive computing technology. She has been the president of INFORMS, has served on the Board of Trustees of SIAM, and is a member of several university advisory boards. In view of Dr. Dietrich’s plenary talk at our conference, we interviewed her on the Watson platform, her long history with IBM, and her vision about the future of cognitive technology. INNS BigData: I would like to start from the Watson technology, which is undoubtedly one of IBM’s most advanced projects. Can you describe it? What makes it unique? Brenda Dietrich: Watson is the first commercially available cognitive computing capability. The system is delivered through the cloud, and it analyzes high volumes of diverse data, understands complex questions posed in natural language and proposes evidenced-based answers. IBM Watson represents a new era of computing in which apps and systems interact with human users naturally, augment our knowledge with Big Data insights and learn to improve how they assist us – the systems understand the world the way that humans do: through senses, learning and experience. Fueled by innovation with a mission to transform industries and professions, Watson is uniquely positioned at the forefront of the new era of computing, one that promises to transform the world. 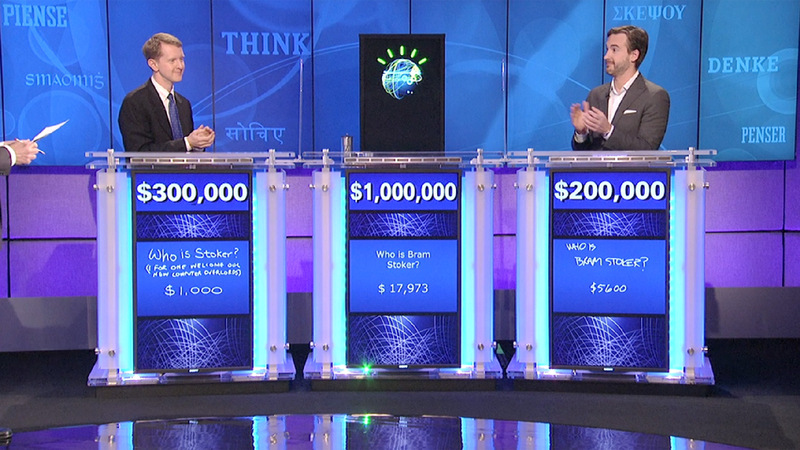 INNS BigData: The public came to know Watson after its victory in the Jeopardy program. Since then, it has been applied to an enormous range of projects, from cooking to the development of cognitive apps. What is IBM’s vision for Watson? Brenda Dietrich: Hundreds of clients and partners across six continents, 25 countries and more than 20 industries have active projects underway with Watson. The range of professions and industries includes doctors, pharmaceutical, banks and financial institutions, customers, students and academic institutions, retailers and lawyers. In terms of our vision, we seek to continue transforming industries and professions by making substantial progress in the development and commercialization of cloud-delivered Watson solutions worldwide. With the Watson Headquarters at 51 Astor Place, we are seeking to help shape New York City’s Silicon Alley by incorporating the power of cognitive computing into one of the most vibrant, exciting areas for technology innovation in the world today. This includes fostering an ecosystem of startups and businesses by placing the power of cognitive computing into the hands of developers and tech enthusiasts via the Watson Developer Cloud to fuel the creation of next-generation apps powered by Watson. But Watson’s boundaries continue to expand far beyond NYC. We recently announced a major collaboration with telco and business giant SoftBank in Japan where we will help bring a new class of apps to the region, which will be enabled by Watson’s ability to speak Japanese. We envision this expansion continuing as Watson learns to understand the nuances of language and culture, and this also includes expanding our physical presence worldwide. INNS BigData: Future applications of Watson clearly include big data visualization, analytics, and data-driven inference. What are the challenging areas in big data research from Watson’s point of view? Do you think they will have long-lasting consequences? Evidence creation – being able to determine the shortest path calculation to answer questions around how long it takes to get from one location to another. Evidence evaluation – the simulation of multiple scenarios to assert, with confidence, the shortest path calculation (for example the simulation of traffic scenarios to say that it takes less than an hour to get from Grand Central Terminal in NY to LaGuardia Airport). Model creation – supporting the role of the expert modeler in extracting decision variables, objectives, constraints and other relationships from text, and domain-specific modeling languages. Locating and navigating evidence – finding statistical support for hypotheses, much as text search is used to find “factoid” or “passage” support for an answer to a question. Support tools – capturing, recording, mining and incorporating the modifications the user makes to the output of the tool in future versions of the tool. INNS BigData: Watson is working primarily with text data. Is there a plan to move it to other unstructured domains, e.g. images or videos? Brenda Dietrich: An initial visual recognition service that scores images against pre-defined categories is in beta-test now, and available in the cognitive zone on IBM BlueMix. A visual recognition training service, in which positive and negative examples of a category are provided to train Watson to recognize the category and score new images against it, is also available. In addition, the acquisition of Alchemy brings additional image recognition capability to Watson. INNS BigData: You come from an operations research (OR) background, which has been one of the focuses of your research activities. What is the role of OR in the big data field? Brenda Dietrich: I see significant potential for the use of cognitive computing and the methods of OR to be combined to create more robust, continually learning decision support applications. Much additional research is required in this area, research that will likely advance both fields. This is a topic that I will discuss in some detail during my talk at the conference. INNS BigData: More in general, you have now been with IBM for more than 40 years, starting as a researcher for the IBM Thomas J. Watson Research Center. Of all the things that you have done, what are the ones that you are most fond of? Brenda Dietrich: Virtually all the work I have done at IBM has had a common theme: supporting the decision making process through access to data, computation, and mathematical rigor. It’s hard to pick a favorite project, but there are two that stand out. One was a fairly simple tool, first deployed in the late 1980’s, that helped IBM effectively allocate scarce memory modules to PCs. It enabled transformation of a contentious multi-person, multi-day process to fast evaluation and reporting process that could be executed by a single person whenever needed. The same methods, extended and reimplemented to take advantage of better hardware and software packages, are still in use today in IBM, buried deep inside a wide variety of resource allocation processes. The second was a piece of work that demonstrated how planning functions, typically done on a pre-defined schedule, can be used “continually” to adjust and update plans whenever the data used to generate the plans has changed. This approach, which we called “continual optimization” was used in a number of applications, ranging from workforces scheduling to vehicle routing. An interesting aspect of the work was the need to include multiple “solvers” each with different performance characteristics to simultaneously address the need to maintain feasibility (requiring a very fast update) and the desire to achieve optimality (requiring more significant computational time). INNS BigData: Paul Horn said of you that “[Brenda] has a rare ability to travel between two very different worlds”, when referring to your double life as mathematician and business consultant. Is it hard to live in two worlds? Do you thinks mathematicians should “go out” more often? Brenda Dietrich: The field of mathematics (and of computer science, operations research, etc) is vast. While I love the beauty of the theoretical work in my field, I get the most personal satisfaction from creating things that others can use. To find out what is useful, one has to understand how things (e.g. decision processes) are currently done, where there are opportunities for improvement. To understand what is possible, one has to understand both the state of the technology, and the organizational and behavioral issues present in the decision process. I’ve always used my experience in the “real world” with clients and partners to inform and inspire my research and the work of whatever research teams I am able to influence. And I’m very curious – I want to know why things are done the way they are done, and whether there is any better way to do them. In particular, I’ve always been interested in the effective use of resources, and in eliminating waste whenever possible. For me, the math is a means to an end, rather than the end itself. INNS BigData: All these years of building and moving forward technology put you in a very peculiar position. How do you imagine the next twenty years? Is it going to be a very different world? Brenda Dietrich: Talking about the next twenty years from a technology standpoint is essentially talking about a lifetime. Looking back on the past twenty years, some of the most pivotal tech innovations have happened in the past 5-10, and that window of time will continue to shrink as these innovations will continue at a rapid pace. The world will be different in the sense that what we’re seeing now – human and computer collaboration – will only be more seamless and better understood broadly in terms of the benefits. What Watson is achieving today through Chef Watson and our work in the healthcare space, as two examples, showcases the power of combining cognitive systems that transform decision-making with the unique human experience, and as we look into the future the options are endless. INNS BigData: Let us go back to the present: another futuristic project of IBM is the True North neuromorphic chip. Recently, Yann LeCun stated that “IBM built the wrong thing”, and more in particular “it could have been useful if it had not tried to stick too close to biology”. How would you reply to this? What is your idea of the interplay between neuroscience and the quest for intelligence? Brenda Dietrich: I think neuroscience is one of many areas that should be explored in the quest for building more intelligent and useful machines. I am hopeful that as scientists explore neuromorphic computing, they will learn more about both computation, and neuroscience. INNS BigData: In our previous interview, we asked Juergen Schmidhuber what he would do with a 1$ billion unrestricted grant, which is more or less what IBM invested in the Watson division. Let us close by “upping the ante”, as poker players say: what would you do with a 10$ billion grant? What is the next technological “grand challenge”? Brenda Dietrich: I think the ideal usage of the $10b grant would really be to bring our vision to life more quickly – expand into other markets, round out the capabilities, learn more languages and place the power of cognitive computing in the hands of people around the globe sooner rather than later. It’s going to happen, but this would allow it to happen faster, and would give more people across industries and professions the ability to utilize cognitive computing to solve whatever the next ‘technological grand challenge’ may be.